This is a chair born of classic lines, with a rounded backrest recalling the shape of antique medallions, whilst the seat is linear and geometric. 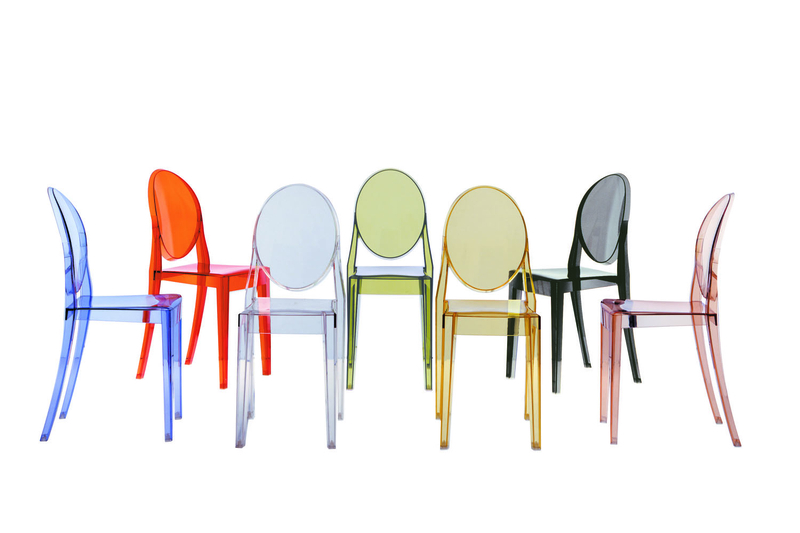 Victoria Ghost is made of transparent, coloured polycarbonate and formed in a single injection mould. 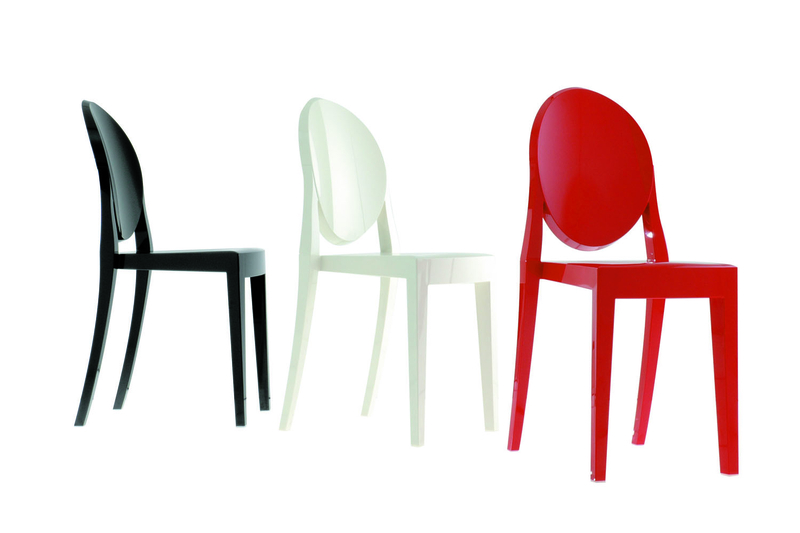 It is stable, comfortable, robust and weather resistant. 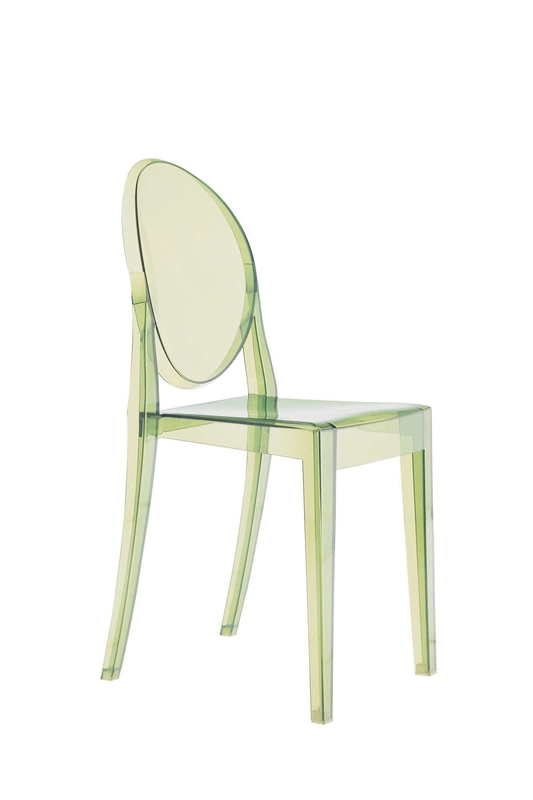 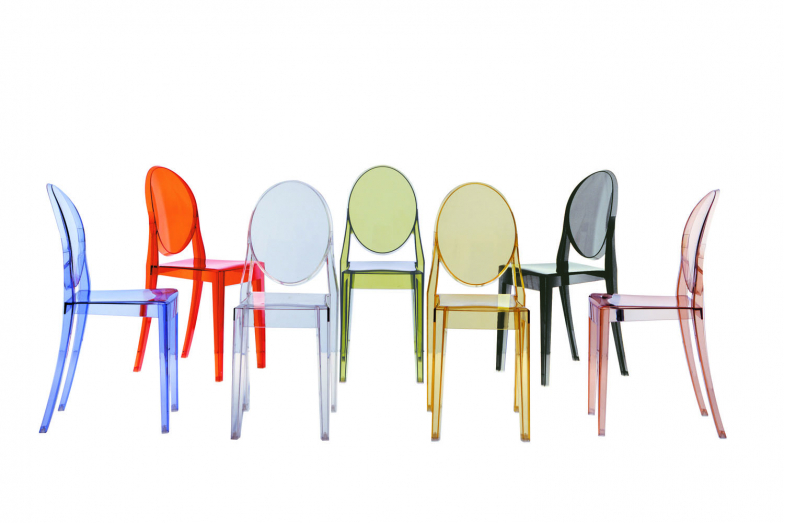 Once more we find a chair created thanks to the technological know-how which Kartell has amassed over the years to create articles which have made the company world renowned. The chair embodies great charm and personality which fits elegantly into any style of surrounding.